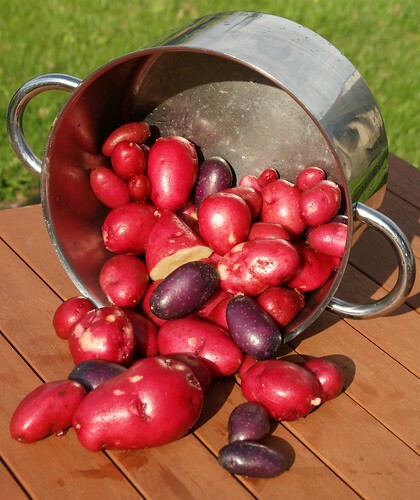 Garden potatoes, a photo by PhylB on Flickr. Nothing beats home-grown fruit, veg and potatoes. These were so good all they needed to make a perfect meal was a little bit of Normandy sea salt butter. Perfect!